At the last board meeting in April, motions were passed to place the GA’s funds into separate accounts from the ASUC’s and reinstate GA executives as signatories on the ASUC account until the GA has its own accounts. Ansel’s demand occurred less than two weeks after the GA’s secession from the ASUC, a culmination of tensions that have existed since the GA’s founding in the 1960s. A Bank of the West branch will open on the first floor of the Martin Luther King Jr. Student Union building next year as part of a 10-year contract between the bank and UC Berkeley that will generate more than $17 million for the campus. The ASUC Student Union Board of Directors agreed to define standards for working conditions for future Student Union employees at a Wednesday meeting in response to demands from current campus contract workers. At its penultimate meeting of the semester Wednesday, the ASUC Senate was updated on the progress made in negotiations to install relaxation centers on campus. 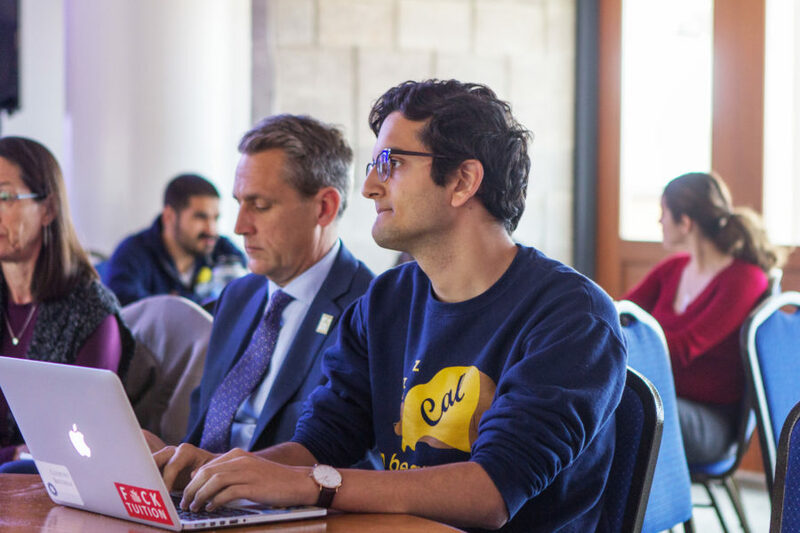 At an ASUC Student Union Board of Directors meeting Wednesday, board members voted to update several ASUC policies and approve contracts to meet the needs of the new Lower Sproul Plaza space. At a Monday ASUC Student Union Board of Directors meeting, members discussed event reservation policies and committee reports.